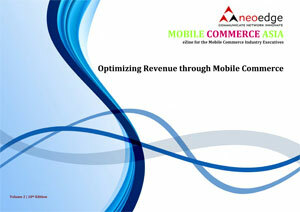 Responding to these exciting market offers, Neoedge’s 8th Mobile Commerce Summit ASIA 2016, with the theme of “Revenue Optimization through Market Engagement and Innovative Technology”, will develop a most efficient learning and networking platform for all stakeholders to discuss, share, explore, build partnership and achieve ultimate success. The Summit will provide comprehensive and interactive experience incorporating presentations, panel discussions, case studies, break-out sessions and round table discussions. 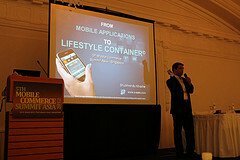 Leverage on the unique convergence of power-packed speakers and hot topics through this cornerstone mobile commerce event filled with innovative features such as Break-out Group Brainstorming Sessions ensuring a comprehensive and participatory synergy of learning and networking. 11.30 Digital Commerce and Wallets: Where is Asia leading? Where is Asia different? All participants will form into 5 groups, each with a Group Leader. A pre-selected hot topic or a case scenario will be given to each group for discussion (20-minute duration). The Group Leader will moderate the discussion. Either the Group Leader or a representative appointed by the Group Leader will make a brief presentation (5-minute each group) on the group’s conclusion and learning points. § Follow on selected interesting points concluded by 5 groups during the Break-out Group Brainstorming Session, share expert opinions on those points and discuss the implications for business. 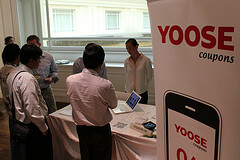 § Address other hot topics in current Mobile Money Transfer and Micro Finance market. 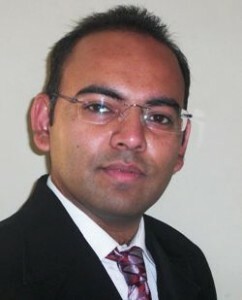 Adrian Abdul Ghani began his career as an advocate and solicitor in a legal firm with regional presence in 1995. 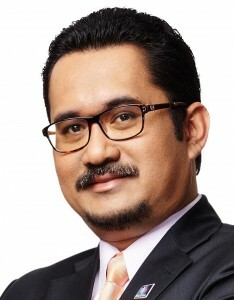 In 2002, he joined the Legal and Advisory Department of the Malaysian Communications and Multimedia Commission (MCMC) where he was actively involved in initiatives related to policy and regulatory development. In 2006, Adrian was appointed as Director of the Mobile Number Portability (MNP) Department where he was tasked to head the national roll-out of Mobile Number Portability (MNP) in Malaysia. In this role, he led his team in the development and implementation of policy initiatives to support MNP. The project was launched nationwide in October 2008. Adrian was then accorded the opportunity to serve in the Malaysian Biotechnology Corporation (BiotechCorp) in 2009 as Vice President of the Legal and Regulatory Department. In this role, he devised and implemented a progressive engagement strategy for BiotechCorp in relation to key policy and regulatory stakeholders towards achieving the goal of creating a conducive regulatory framework for the development of the biotechnology industry in Malaysia. In 2012, Adrian joined BiotechCorp’s Senior Management team as Senior Vice President of the Bionexus Development Division, the division which awards the BioNexus status to eligible biotechnology companies entering the commercialisation phase from which tax incentives, funding assistance, regulatory advice and other ecosystem-related support are provided. Late 2015, Adrian began his second stint in MCMC as Senior Director for Digital Services and Data Platforms, a post he currently holds. 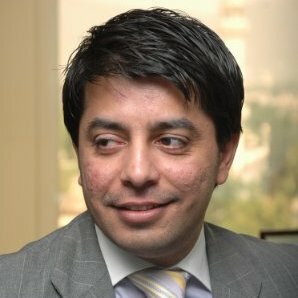 As Deputy CEO and Head of Commercial of Telenor Pakistan, Mr. Khan holds P&L responsibility of over USD 1 Billion, 34 M customers and over 1700 employees, including Marketing, Segments, Brands, Sales, Internet, Digital Services, Product Development, Customer care, Business Intelligence & Analytics and Governance functions. Mr. Khan has proven track record of managing large portfolio of diverse responsibilities with world leading companies like Orange, T-Mobile, Ericsson, Telcordia Technologies and Telenor. He has rich multicultural career experience from USA, UK, Norway, Saudi Arabia, Pakistan, Thailand and the Philippines etc. Awais is a versatile, passionate, hardworking, dynamic and hands-on individual providing decisive leadership, management and guidance with a proven ability to dramatically increase revenues in intensely competitive environments. He is a strong organizer, motivator and team player with established record of success in identifying new and emerging business opportunities. He is highly skilled in developing operational strategies and directing projects from original concept through implementation. With over 14 years of work experience on different positions in the Telecommunication Industry, his expertises include in supporting companies through critical start-up or turnaround situations and managing businesses up to USD 1 billion in revenue. 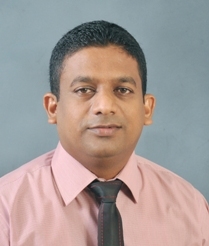 Kalhara Gamage is a qualified Chartered Accountant, Member of the Society of Certified Management Accountants of Sri Lanka, CIMA (UK) and a member of the Sri Lanka Institute of Marketing. He gained over 16 years exposure, mainly in the field of Mobile Money, Mobile Financial Services, Electronic payments, mCommerce, Treasury, Risk Management, Management and Financial Accounting, Business Planning, Budgetary controlling etc. Prior to Mobitel Pvt limited, He was a member of the John Keells Holdings, which is the biggest conglomerate in Sri Lanka. He was involved in many functional areas as well as many companies within the group. He joined Mobitel, the National Mobile Service provider in 2007 until now he was involved in so many functional areas such as Finance, Corporate Planning, Treasury and Product Marketing etc. In 2012 with the request of CEO he took the challenge to deploy the Mobile Money Product at Mobitel Pvt Limited. Shubhrendu has achievements in the payments, telecom, semiconductors, software products & services and aviation sector for new business creation, product marketing & management, sales, consulting and design functions. He currently helps retail banks, telcos and merchants in seeding, commercializing & scaling mobile commerce & payments businesses. He has lived and worked in India, Singapore, Sweden, France, Germany and Austria and remains curious about nuances of applied consumer psychology, the business of technology and decision making. Shubhrendu has a MBA from INSEAD, a Masters in International Business from IIFT, and a B.E. (Hons) from the Delhi College of Engineering. 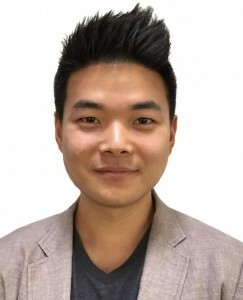 Josh Jang is the Head of Strategic Project for TUNE, a SaaS platform that is designed to support both marketers and ad networks. He currently leads TUNE’s expansion in Southeast Asia and Australia. Josh studied Political Science and Economics at University of Toronto and have backgrounds in banking, mobile gaming, and digital advertisement. 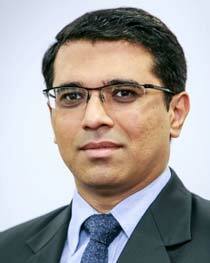 Darpan is a banking professional with rich experience in Payments & Ecommerce business. In his professional career of 14 years he has worked with various organisations like TimesOfMoney (The Times Of India Group), YES Bank and IndusInd Bank, where he has been instrumental in developing, growing and managing new businesses both in the domestic as well as International markets. In his current role with IndusInd Bank, he looks at growing India bound cross border payments through different payment products both online and offline and also explores opportunities in Ecommerce space in India. His specialties include Cross-Border Payments, Online Remittances and Ecommerce. 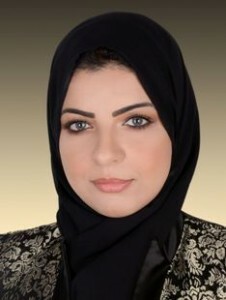 Ragab’s career has been in the Telecommunication, working for two multinational groups: Vodafone and Etisalat. His roles include those which are Commerce Services/Products related (eg. 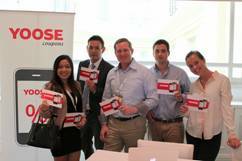 Mobile Money – Vodafone / Electronic and Mobile commerce in Etisalat). His experience includes: Making Commerce Products and Services more competitive through improvements to value proposition, channel implementation, Operations management, Commercial offering, through periods of rapid changes that are typical in telecommunications. 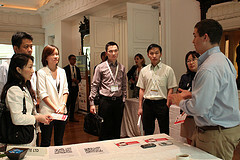 Andy Fong currently serves as Field Marketing for Singapore, Malaysia and Vietnam. Based in Singapore, he works with with telecom operators and financial institutions to drive strategic business growth for Gemalto. Since joining Gemalto in 2003, Andy has undertaken various functions in the Telecom domain. Prior to his current role, Andy was manager of Technical Product Marketing team in the Telecom Product Management organization. In that role, he worked closely with the sales channel and key customers, serving as the internal and external evangelist for the product offering. Andy graduated from National University of Singapore with a Bachelor of Science degree in Computing. Ammara is a seasoned professional with more than 12 years of experience in fields of New Product Development, Segment Management and Mobile Financial Services. 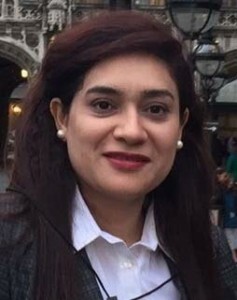 She is currently working as Segment Manager International Remittance at Mobilink which is the largest Telecom Operator in Pakistan. She has launched several innovative services as well as managed a portfolio of high revenue generating services with average revenue of $42M per annum. She has worked on multiple projects from their conception to launch and has provided structured framework to analyze complex situations into simple strategic imperatives. Vered Konijnendijk is the Head of Strategy for Wave Money, a mobile money operator on the verge of being launched nationwide in Myanmar. Myanmar presents an unique opportunity for mobile money in SEA as there is virtually no financial infrastructure and 94% of the population is financially excluded. 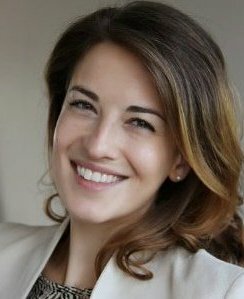 Vered was previously engaged in several social and green start-ups after building a ten year career in financial services covering the fields of Investment Banking and Strategy Consultancy. Combining her analytical skillset with experience in developed and developing markets, big banks with 50k+ employees plus one-man-show start-ups she is keen to significantly increase financial inclusion in Myanmar. Vered has a Msc. in International Management and a Bsc. in International Business Administration from RSM, Erasmus University Rotterdam. Mervyn heads the mobile marketing team in Zalora and is responsible for its customer acquisition endeavour. He is a strong advocate of big data and data-driven decision making. Coming from a diverse background, Mervyn has had experiences working in the Banking, Hospitality and Healthcare industries. Prior to joining mobile marketing in Zalora, Mervyn was in marketing business intelligence overseeing performance and budgeting. 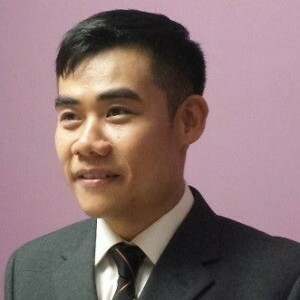 Mervyn holds a Master’s Degree in Analytics from Singapore Management University. He is an avid sportsperson and loves to travel. An MBA by chance and engineer by destiny, Varun Mittal is an infinite energy generator which is powered by fast internet, lot of challenges and lot of coffee. He holds an MBA Degree from National University of Singapore and spent study abroad semesters at Duke University, USA and Indian School of Business, India. Currently the Group Head of Partnerships & Marketing for helloPay, Varun has received recognition from Google, Oracle, GE and Hewlett Packard for his contribution towards open source software and research projects. 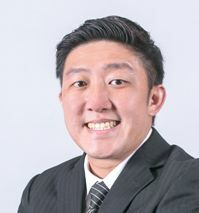 With all the time spend working at industry leaders like Samsung, Microsoft, Singtel and Gemalto, he now permanently resides in a technology world. A rock-star in his own sense, he loves to roll up his sleeves to work with startups and is currently involved with ventures in the domains of fashion, education, media and telecom. 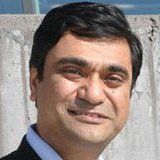 He has six international research publication under aegis of organizations like IEEE and Cambridge University and has served as reviewer in over hundred IEEE conferences. 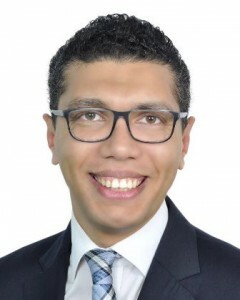 Accomplished and versatile business professional with more than 12 years in Telecom and Financial industry, Mr. Arafin has experience working with both private and public sector companies. 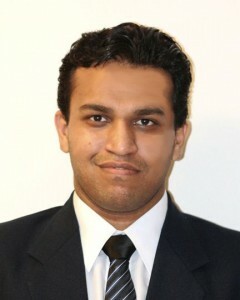 He was the subject matter expert and project leader for mobile commerce platform deployment at Citycell. He is also pioneered in developing and implementing mobile financial services in business organizations i.e. educational institutes, hospitals, transport companies, developing agencies etc. from bKash Ltd. He designed, developed and implemented merchant program funded by IFC and Gates Foundation in bKash ltd.
His broad based of experience allows him to take on variety of challenges and gives me a holistic view of the impact of any action to the overall organization. 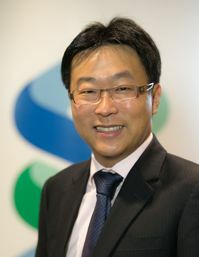 Aaron Loo joined Standard Chartered Bank in April 2015. 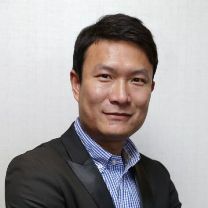 As Country Head, Retail Banking, he is responsible for driving the Retail Banking business performance in Malaysia and delivering the best products and services to Personal, Priority and Business clients. Prior to joining Standard Chartered, he was Head of Group Consumer Banking at Alliance Bank Malaysia. Previously he was attached with CIMB for over 13 years. Mr. Siripala has 29 years experience in IT industry, which includes Project Management in Digital Banking projects, such as Internet and Mobile Banking, Credit Card, ATM Card and Internet Payment Gateway etc. 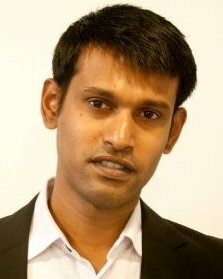 He is a graduate in Statistics and holds full membership in Computer Society of Sri Lanka (CSSL) and British Computer Society (BCS). Rajesh Kumar is Chief General Manager (Digital & eCommerce) in State Bank of India (SBI) the largest Bank of India with more than 16000 branches in India and 213000 plus employees. SBI has over 200 years of legacy and serves about 275 mio customers. SBI has 194 offices in 36 countries. 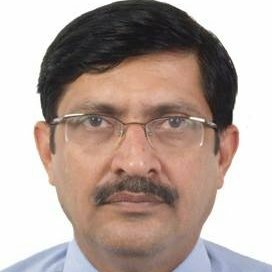 Mr Rajesh Kumar has over 30 years of experience in SBI and has worked in Retail and International Banking as well as has served in Europe. 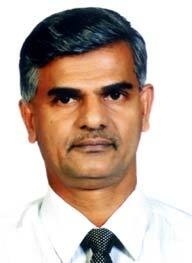 He has experience of IT development and Implementation. Presently he is heading Digital & eCommerce initiatives from the business side. 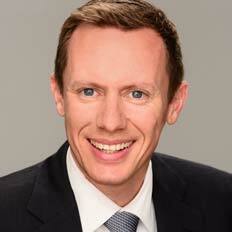 Chris has 15 years of consulting experience with Simon-Kucher & Partners. Before opening the Oceania Practice, he worked in the areas of telecommunication and new media and specialises in strategic marketing, portfolio design, pricing optimisation as well as market simulations. He has conducted more than 70 telecommunication consulting projects in Europe, Asia, Middle East, Australia and South America for leading MNOs. Chris studied business administration at the University of Kiel and at the School of Business and Commercial Law Gothenburg, Sweden. He majored in Innovation Management and Marketing. His degree dissertation focused on willingness to pay functions of interactive television users. In 2000, he received his Diplom-Kaufmann degree (similar to a masters). For more information about the summit, we welcome requests for a copy the BRIEF AGENDA and our SUMMIT’S SPEAKER PANEL. Email us at: enquiry@neo-edge.com. “Well organized conference with great speakers who know what they are talking about. This is one of the best places to meet people and learn about cutting edge developments”. We enable our clients in 180 countries to provide trusted, convenient services for billions of individuals and devices. These include mobile identity, payment, online banking, cloud access, transport ticketing, eGovernment, software monetization, vehicle telematics and more. We do this by providing a chain of software, products and services. At the network’s “edge” we embed software in smart objects like SIM cards, banking cards, citizen IDs, password generators, machine identity modules and so on. At its “core” we create secure platforms to manage devices, check identities, manage transactions and encrypt data. We are looking for like-minded sponsors who share the same vision with us–to be future ready and innovative. Our promise is that you will have precise maximum exposure to the audience that you desire. Thought leadership will be yours. There are a range of packages to suit your business needs. Talk to us and let’s make it happen. We are not looking for just exhibitors; rather, we are looking for companies who wish to demonstrate their latest capabilities to their desired audience. If you are itching to showcase your latest capabilities to the mobile commerce industry, talk to us and find out how you can maximise your presence in a highly focused setting. 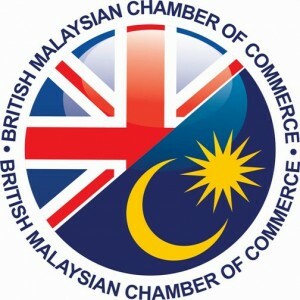 Since 1963, British Malaysian Chamber of Commerce (BMCC) has been a catalyst in providing Malaysian businesses with networking, knowledge exchange, bilateral trading assistance and support. With 360 top member companies with and an outreach of over 190,000 employees, the experience and expertise at BMCC is incomparable at promoting and fostering trade between Britain and Malaysia. BMCC is also a proud member of Britain in South East Asia or BiSEA which is a grouping of British Chambers and Business Groups in the South East Asian region including Cambodia, Vietnam, Indonesia, Thailand, Philippines and Singapore. BiSEA is a very important pillar for growing and supporting business and this group is now emphasising a better ASEAN regional knowledge-sharing platform through UK-ASEAN Business Council. GlobalPlatform is a cross industry, not-for-profit association which identifies, develops and publishes specifications which facilitate the secure and interoperable deployment and management of multiple embedded applications on secure chip technology. Its proven technical specifications are regarded as the international industry standard for building a trusted end-to-end solution which serves multiple actors and supports several business models. The freely available specifications provide the foundation for market convergence and innovative new cross-sector partnerships. The technology has been adopted globally across finance, mobile/telecom, government, healthcare, retail and transit sectors. GlobalPlatform also supports an open compliance program ecosystem to ensure the long-term interoperability of secure chip technology. Developing Telecoms (www.developingtelecoms.com) covers the transformation and empowerment of emerging markets through mobile telephony and broadband wireless internet access. Our mission is to keep stakeholders informed about opportunities and the technologies, products, services and processes delivering this unprecedented development. TMCnet.com is the world’s leading communications and technology Website. It is one of the most flexible, useful and fastest-growing b-to-b technology sites. Thousands of articles and exclusive features cover Cloud, IP communications, wireless, CRM, contact center, information technology and more from our team of experts in-house and around the world. The Paypers (www.thepaypers.com) is the Netherlands-based leading independent source of news and intelligence for professionals in the global payment community. Our products are aimed at merchants, payment services providers, processors, financial institutions, start-ups, technology vendors and payment professionals and have a special focus on all major trends and developments in payments-related industries including online and mobile payments, online/mobile banking, cards, cross-border e-commerce, e-invoicing and SEPA. We are also keen on keeping our readership informed with regard to online fraud prevention innovations and the most significant trends in the digital identity space. For more information contact us at info@thepaypers.com. The Connect-World series of magazines is a forum for the highest-level ICT decision makers, who give their opinion about the impact of ICT upon regional development. Connect-World publishes editions for each of the world’s major regions: Asia-Pacific, EMEA, AME, Europe, India, Latin America, North America, and Global. Our authors are the people who know the ICT sector best: the leaders of industry, governments, regulators, international organisations, legal experts, bankers and their advisors. Over 22,000 copies of each edition of Connect-World is delivered to the desks of the top decision-makers of leading international companies, telecom ministries, regulatory agencies, carriers, service providers, equipment manufacturers, satellite companies and others. 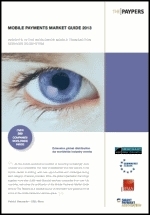 Each edition of the magazine is distributed to a further 58,600 readers digitally. The BayPay Forum, a Silicon Valley-based international network composed of over 8,000 payment and commerce executives, entrepreneurs and investors from over 3,000 different companies, serves as a forum to connect members, identify emerging trends, and create awareness on products disrupting the payment ecosystem. Our events gather 2,000 people annually to discuss the growing trends in payment, including mobile commerce, social media payments and loyalty programs, among others. 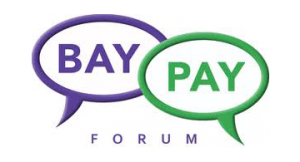 Our website, www.baypayforum.com, offers a calendar of payment events, a professional social networking platform, payment news, and a blog for members to express their views. We are expanding and opening chapters in Los Angeles and Europe. Analysys Mason is the world’s premier specialist adviser in telecoms, IT, and media. TelcoProfessionals(TP) is an interactive, content rich, blog- and video-centric online community, and business exchange, developed exclusively for the Telecom and Media industry. We are dedicated to individuals working in the industry globally, as a place they can find and help each other get ahead. TP includes a full Telecom & Media events listing, blogs from Thought Leaders, videos of the people shaping the industry’s future, and forums. TP allows you to network directly with over 110,000 like-minded unique viewers from 206 countries. Maverick China Research is a China-based market research firm founded in 2006. We provide business-to-business research and market entry services for clients seeking opportunities in China. We have published over 30 major reports on key industries and companies in China and provide customized research and consulting services covering a broad range of sectors, including e-commerce, payments, medical devices, and cleantech. Typical projects include market entry feasibility studies, partner searches, and business due diligence. 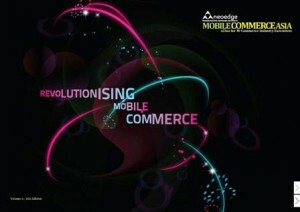 We are happy to inform you that we shall be publishing our next edition of Mobile Commerce ASIA Quarterly eZine soon. 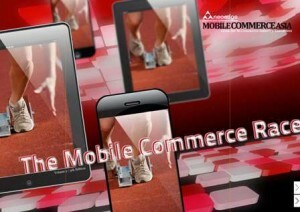 A quarterly guide for the industry executives to keep them informed on the latest in the M-Commerce space. We intend to distribute this eZine to our global telecoms database (Mobile Operators, Technology Providers, Telecom and Banking Regulators and Financial Institutions). This free publication feature is in line with our vision to maintain the good relationship with our partners and further advertise their products and services.